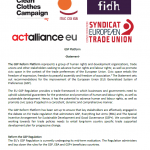 ACT Alliance EU works on policies against hunger advocating for the realisation of the right to food, for a transition towards a just and equitable food systems, and improved and resilient livelihoods of poor farming communities. 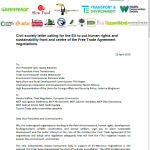 ACT Alliance EU monitors relevant developments in EU trade and EU agricultural policies that impact on agricultural markets and food security in the South. We work to increase policy space for developing countries to support sustainable agricultural futures and prevent or reverse negative development impacts. 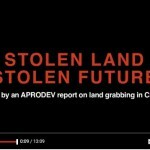 Agricultural and large-scale land investments in developing countries are on the increase. 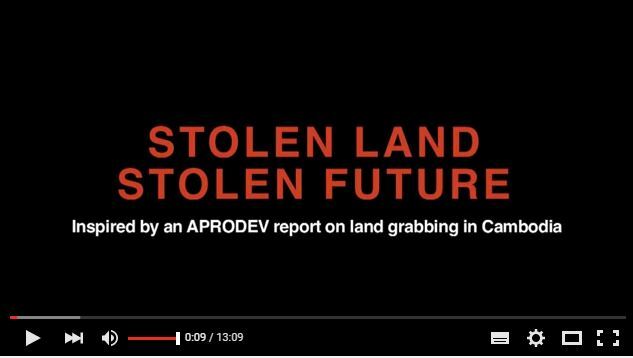 They not only often fail to deliver on expected benefits to local development but more often, investments are associated with loss of livelihood, land grabs and human rights violations. ACT Alliance EU seeks to reverse these trends. Natural resources are rapidly degrading. The loss of seed and agrobiodiversity is alarming. We support smallholders as key drivers to change and advocate for social and ecological agricultural practices to sustain and care for the environmental resources on which poor farming communities rely. Agricultural and land investments in developing countries are on the increase. 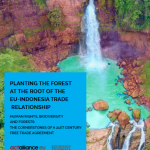 But expected benefits to local development often fail to materialize, and more often, investments are associated with loss of livelihood for the local populations, land grabs, human rights violations and conflict (see also resource page). We advocate to invest in small-scale farmers to improve equitable and sustainable agricultural practices, we support grassroots resistance to land grabs and work towards improved security of land tenure, and expose conflicts of interest from a rightholders’ perspective. 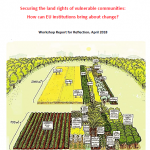 Securing land rights of vulnerable communities: How can EU institutions bring about change?